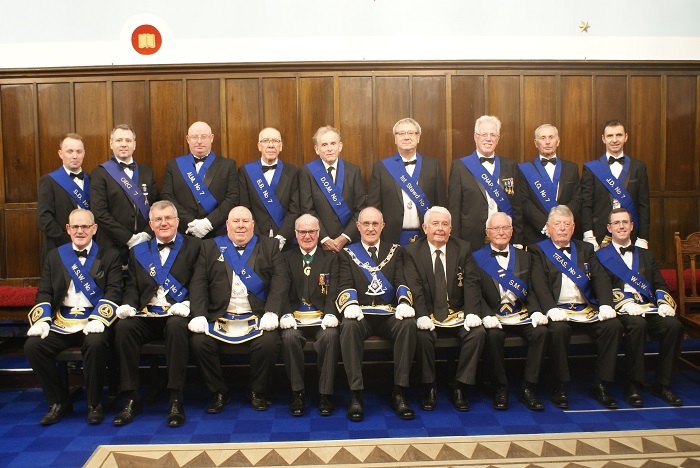 At the annual Installation held on Wednesday 28td November 2018, Bro. 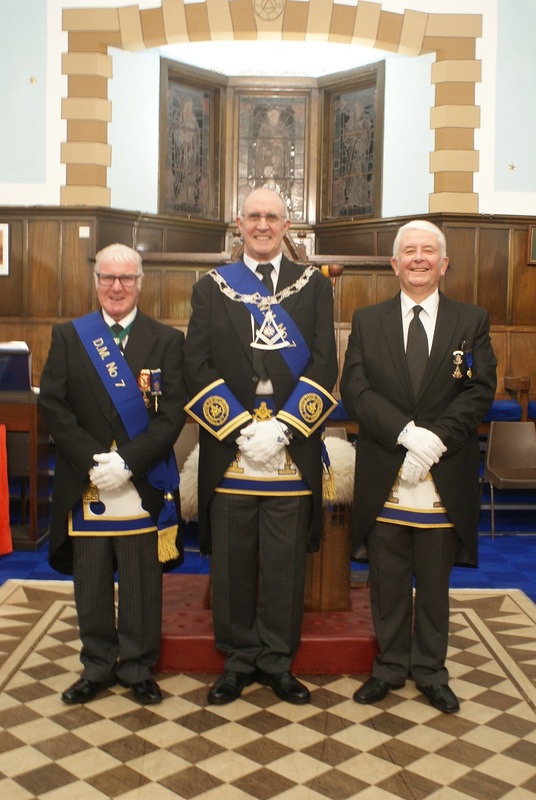 John Limerick was installed as Master by Installing Masters Bro. James S. Dorricott P.M. and Bro. James Carruthers P.M. The Lodge was well supported on the evening by a good attendance of brethren from within and out with the Province. Following the Installation the Brethren had a very enjoyable and sociable dinner. The Lodge would like to offer their sincerest thanks to all who attended the Installation to support the new Master and the Office Bearers. Bro. Jim Dorricott, Bro John Limerick R.W.M. and Bro. Jim Carruthers. The Office Bearers for the session 2018/19.